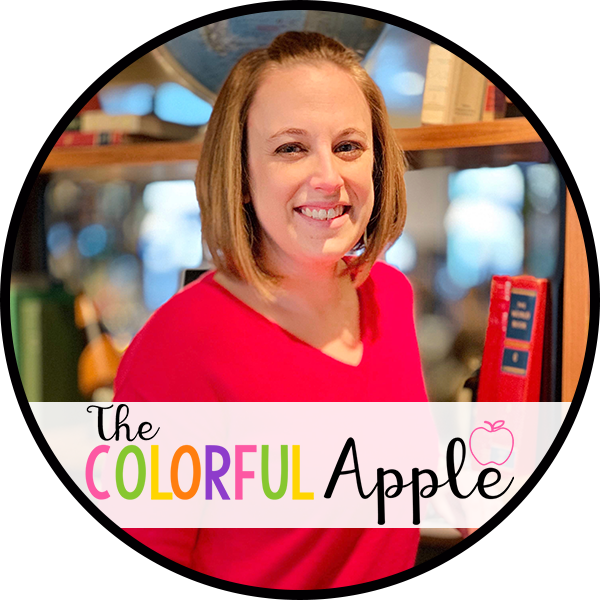 Book talks are the tool you need to create avid readers in your classroom! They will engage your students in new genres. Book talks will encourage them to expand their reading tastes. They will get your students discussing books more. 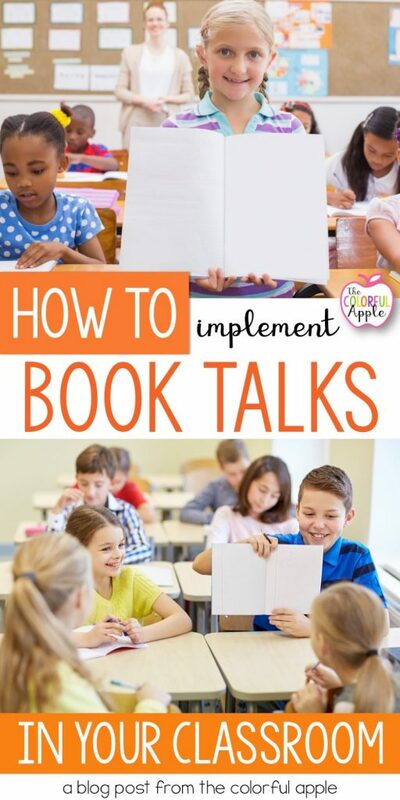 Book talks will motivate your class to read! What is a book talk? A book talk is a short presentation based on a book that a student has read. It is a book commercial for the book, in which the student’s goal is to convince their peers that they need to read it! In a book talk, they will be engaging their listeners by piquing their curiosity. They are making their book appear fun, exciting and suspenseful. A book talk is not a formal presentation This book advertisement is an authentic and persuasive sharing of their book. A book talk has three main parts – the hook, the content and the cliffhanger. The Hook – To start their book talk, students should grab their audience’s attention right away! They could do this with a powerful quote form the story. Students could introduce the main character or vividly set the scene for the class. They could also hook their audience by asking a question. Let them get creative! The Content – Next, they need to share what their book is about. This is where they provide the details from the novel and summarize the plot. They could even share a brief excerpt from the story. The Cliffhanger – Finally, students need to end their book talk with a cliffhanger. They should leave their audience wanting more, but they need to be careful to not give away the ending! Keep it short! To keep their audience’s attention, a book talk should only be a few minutes. Engage the audience by asking if anyone has read the book. If they have, allow them time to share their thoughts on the book. Encourage your class to record any books that interest them on their to-be-read list. Create a book recommendation board in your classroom. Grab a free book spine template to use in this blog post about building a reading community. Have students write the book’s title and author on the book spine and hang them up in the classroom. Why are book talks important? 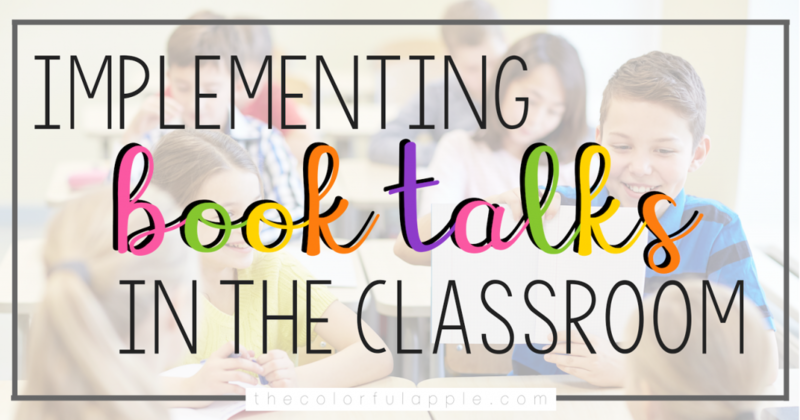 Classroom book talks can be a very powerful experience in your classroom! They get kids reading – really reading. In order for students to be able to talk about a book (and answer questions), they need to be very familiar with the story. Reading is contagious! When they know that their peers are reading and what they are reading, it entices them to pick up a book more often. Builds speaking skills. Oral speaking can be scary for students. 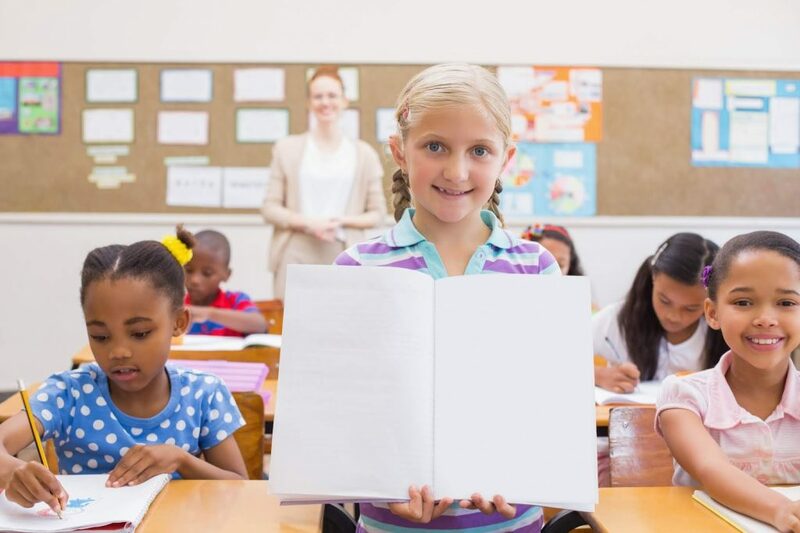 Giving them the opportunity to informally present in your classroom will help them gain confidence. Book talks are beneficial for the audience too! Students are practicing how to be an attentive audience. They will learn how to participate in a discussion and how to ask appropriate questions.